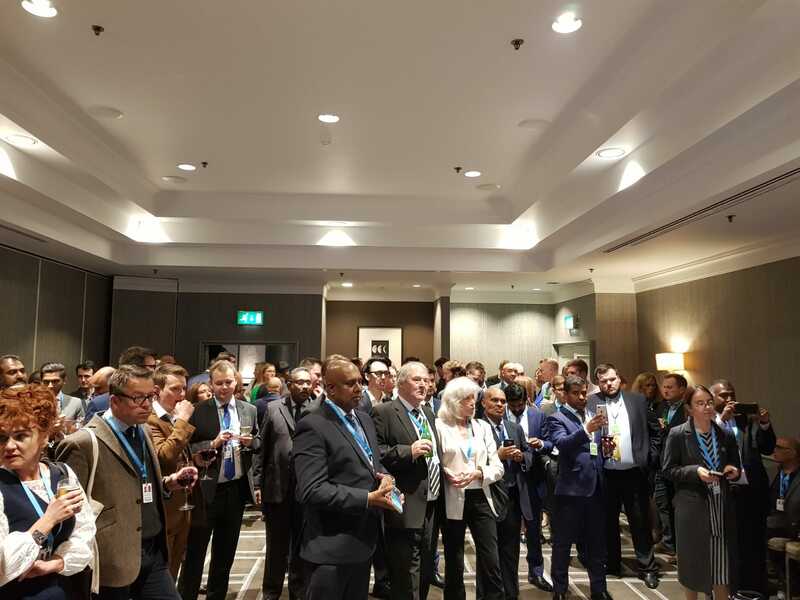 The British Tamil Conservatives (BTC) hosted their annual reception at the Conservative Party Conference on this weekend, where ministers and parliamentarians came and pledged to work towards justice in Sri Lanka. 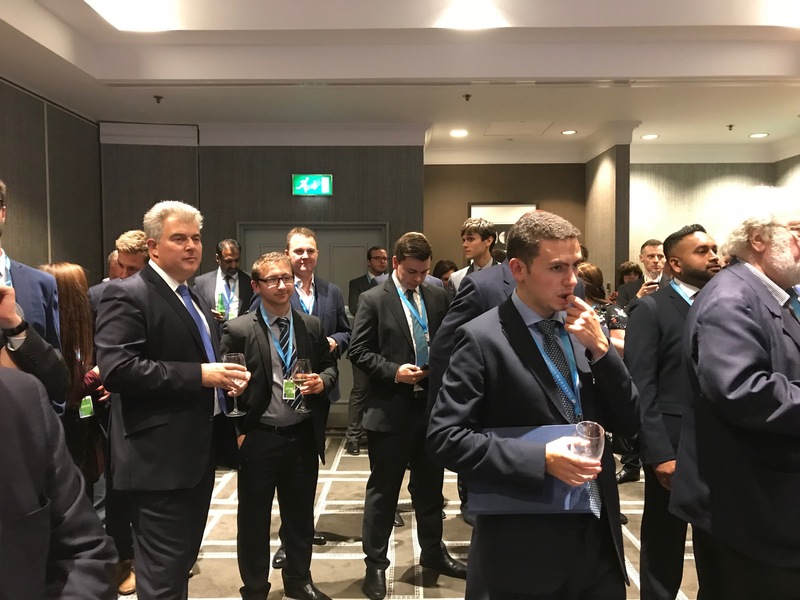 The event, which in recent years has become a popular fringe event at the conference, attracted many senior members from the British government and the Conservative party. 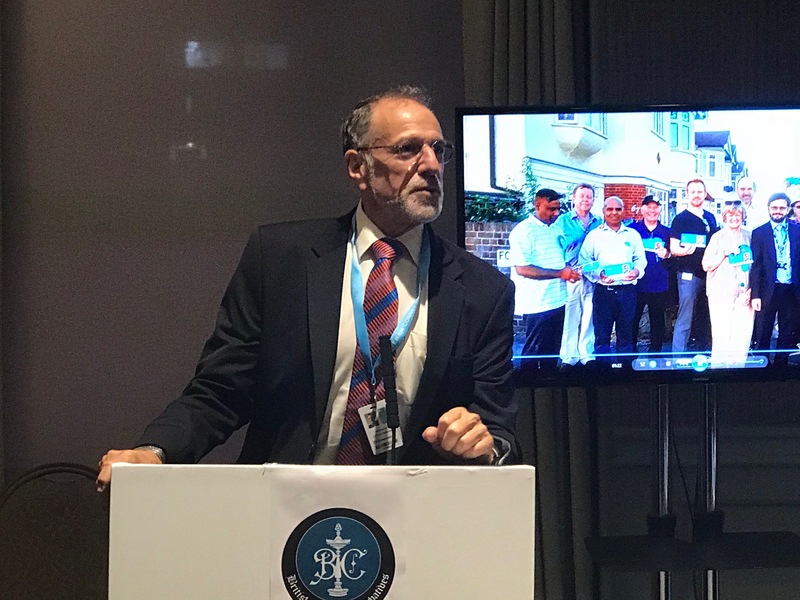 Former Chair of the All Party Parliamentary Group for Tamils and Chief of Staff of the Dept for Housing, Communities and Local Government, Lee Scott said justice in Sri Lanka remained paramount, declaring that “whatever President Sri Lanka may have, whatever time, people who committed atrocities, people who committed crimes must pay the price for those crimes”. 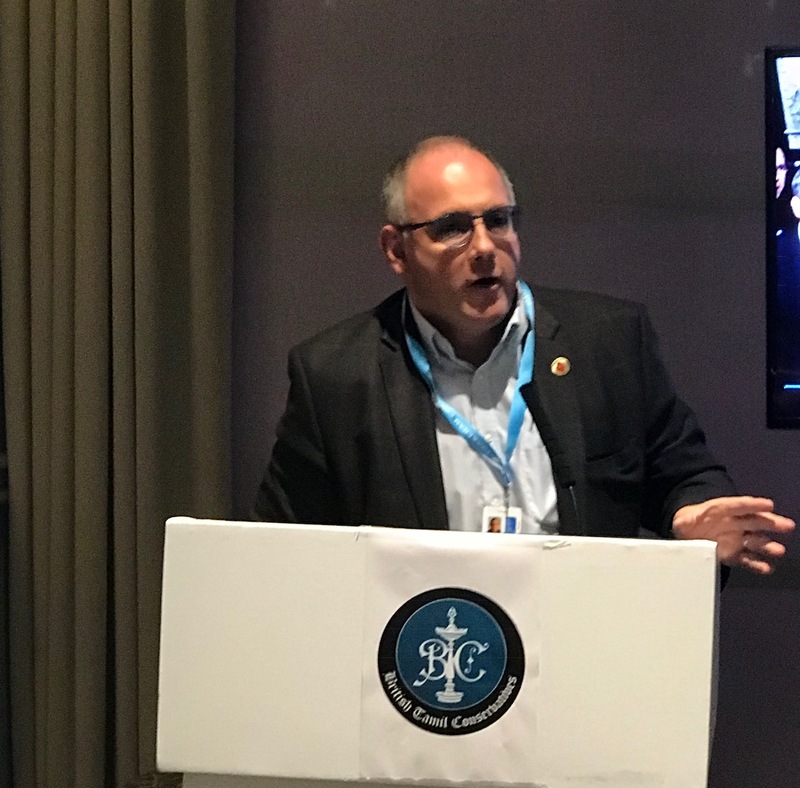 Robert Halfon, member of parliament for Harlow told the audience it was vital to recognize what happened was genocide. 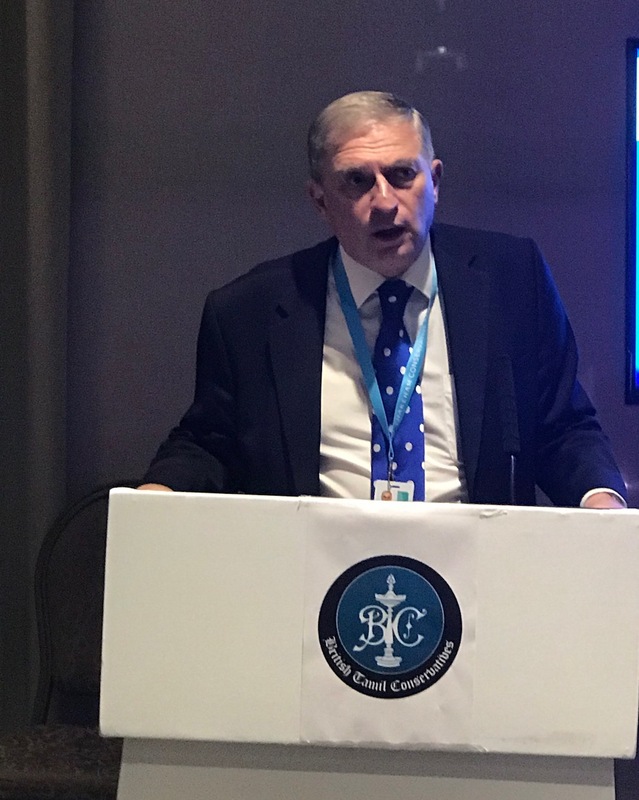 Responding to Sri Lankan President Maithripala Sirisena’s call to the UN to drop charges of war crimes, Halfon iterated “we must never let that happen”. 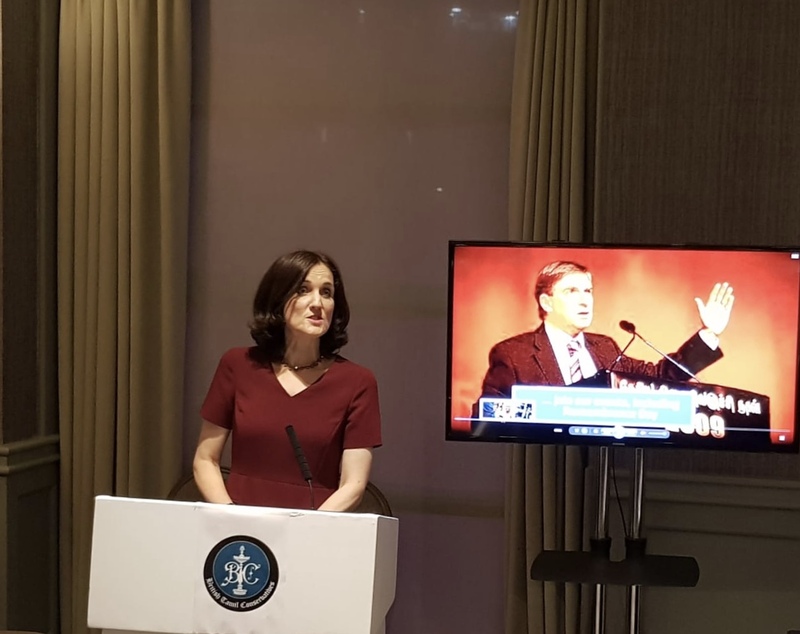 Theresa Villiers, member of parliament for Chipping Barnet, informed the audience the Conservative party believes that real progress is needed in finding out the fate of those many thousands of people who tragically disappeared during the conflict and whose fate is still unknown. “Those who committed war crimes need to be brought to justice and of course we desperately need a process for accountability for the war crimes committed during the conflict”. 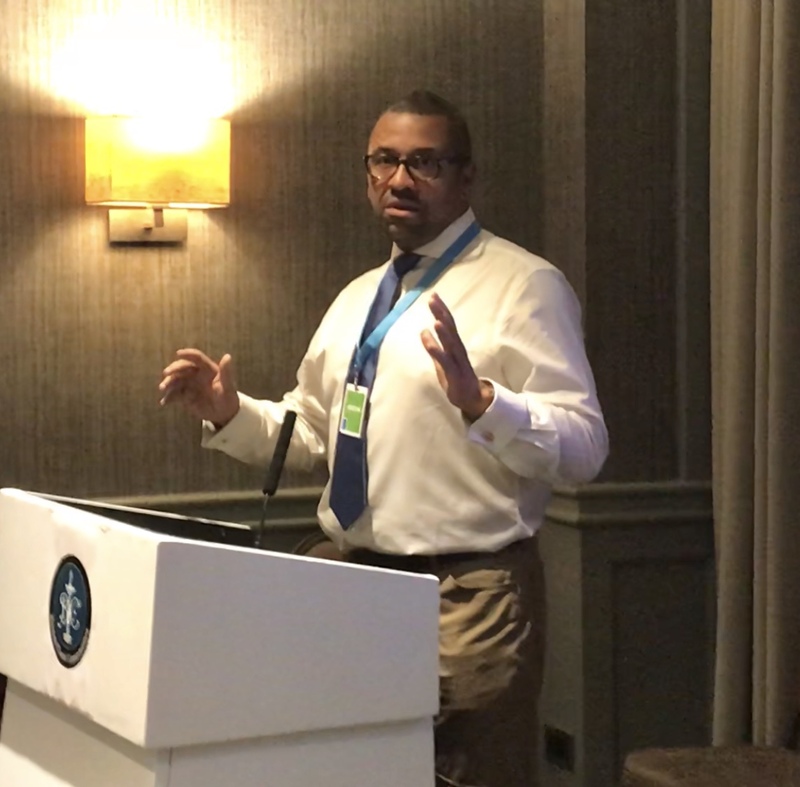 Speaking next, James Cleverly, Deputy Chairman of Conservative Party described the Tamil community as "influential and powerful" adding it was important for the Tamil community to have a voice that is listened to. Cleverly told the audience, the government has listened to and is listening to “concerns of the Tamil community and their legitimate call for justice because of what happened in Sri Lanka during the civil war”. 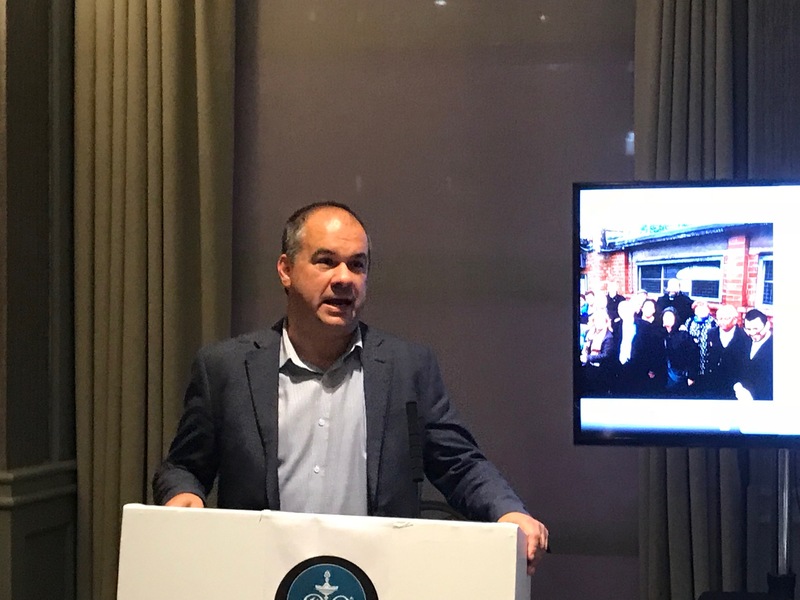 Alastair Burt, Minister of State at Foreign and Commonwealth Office (FCO) speaking at the event said “looking at the regions and the world and the consequences for those who commit crimes and seem to get away, the long arm of justice is there and the long arm of truth is there”. 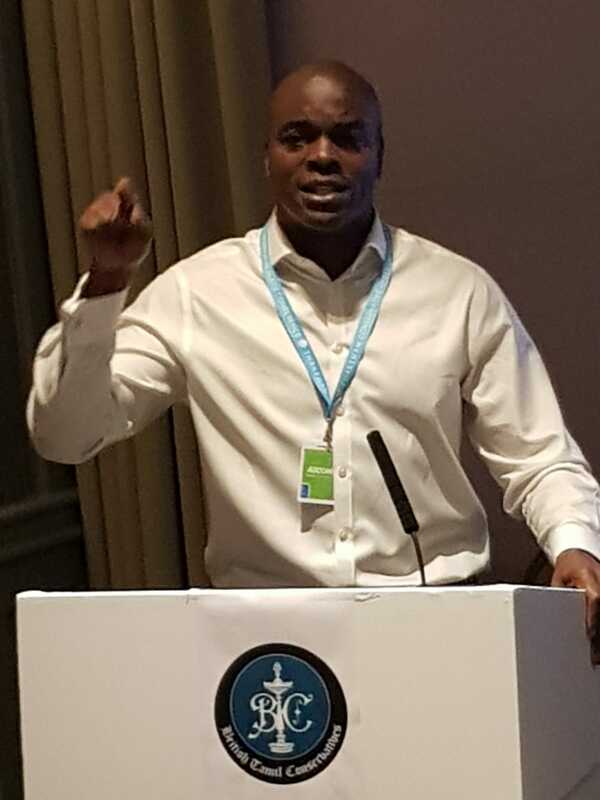 Shaun Bailey who was last week chosen as the Conservative candidate for the next London mayoral election also joined the long list high profile speakers. Mr Bailey praised the Tamil community referring to the work the Tamil community does as “incredible”. “You are important to us, very very important to us. We want you to know we take great interest in what is important to you”. 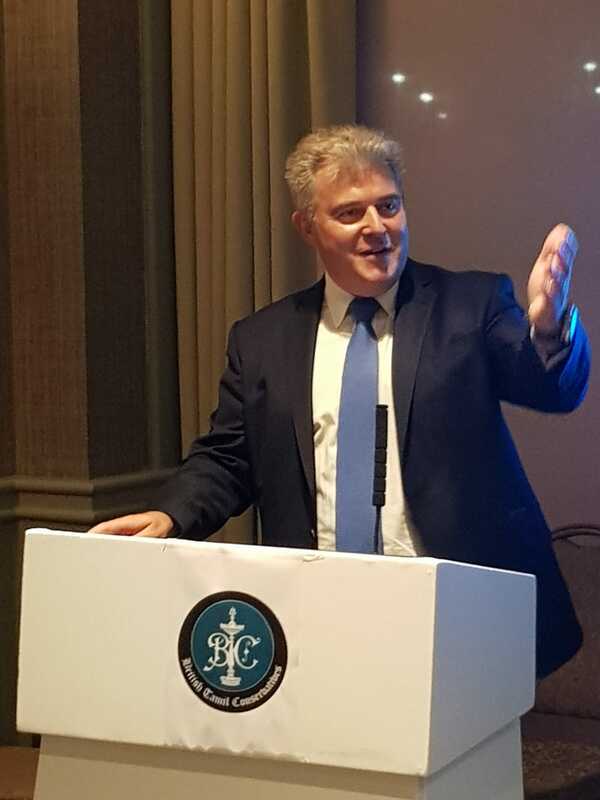 Brandon Lewis, Member of Parliament for Great Yarmouth and Chairman of the Conservative party speaking at the event thanked the British Tamil Conservatives saying “I want to say a huge thank you to BTC because you are one of those organizations absolutely driven on campaigning”. 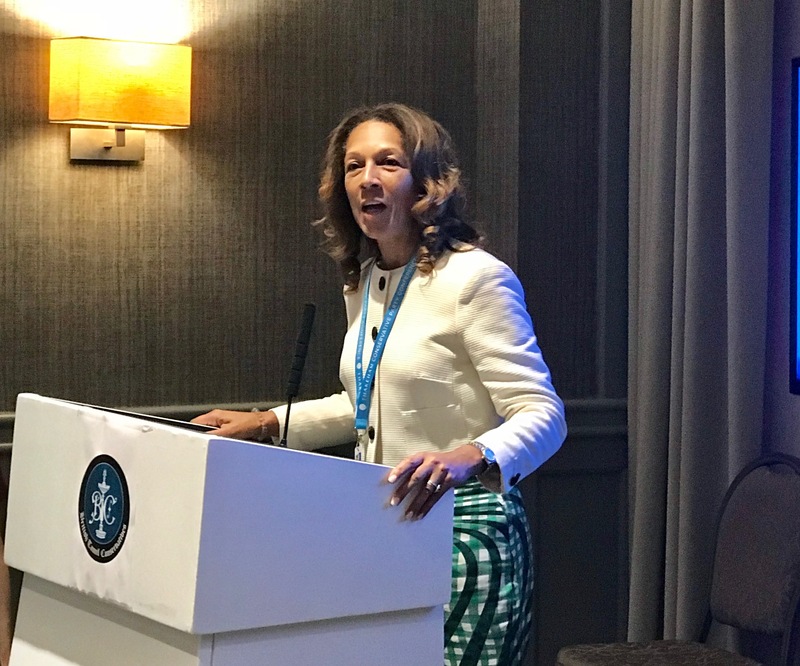 The Chairman of the party was followed by Vice Chair of the party, Helen Grant, Member of Parliament for Maidstone and Weald, who also thanked the BTC labelling the work BTC does as “excellent”. 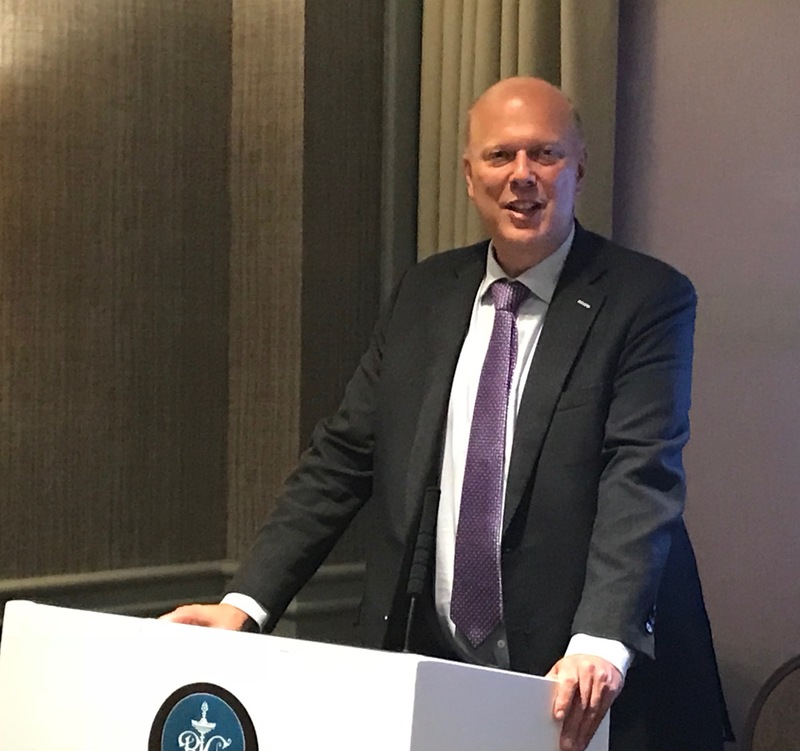 Secretary of State for Transport, Chris Grayling addressing the audience said the Tamil community has done a “extraordinary job in making the world aware of the real challenges the [Tamil] community in Sri Lanka faces”. 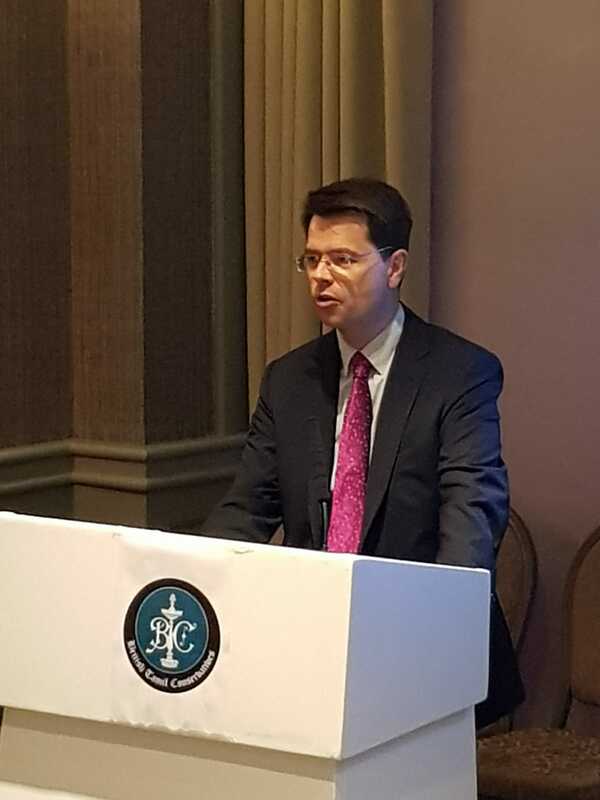 He assured the Tamils “We as the UK government should never let up in our efforts... to ensure your friends and relatives in Sri Lanka have justice and peace”. 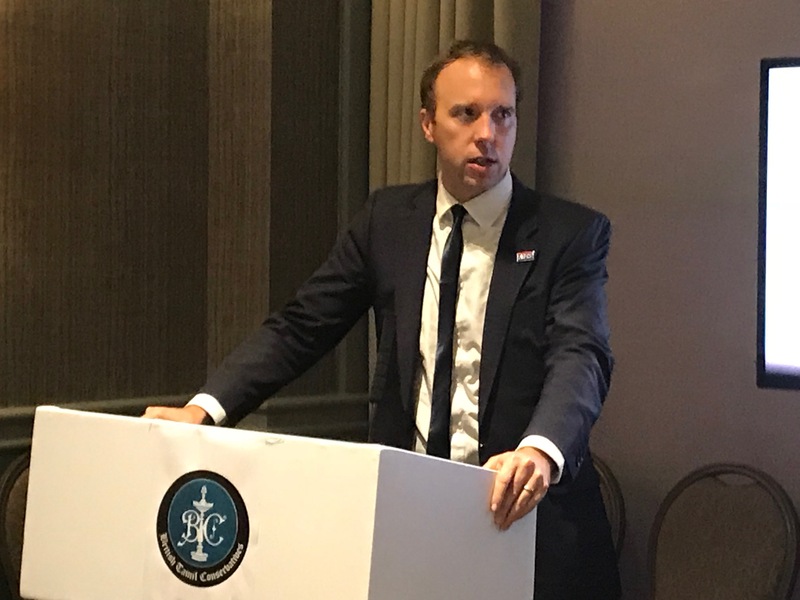 Secretary of State for Health, Matt Hancock praised the contributions the Tamil community in Britain makes to the country and declared “NHS will not run without Tamils”. 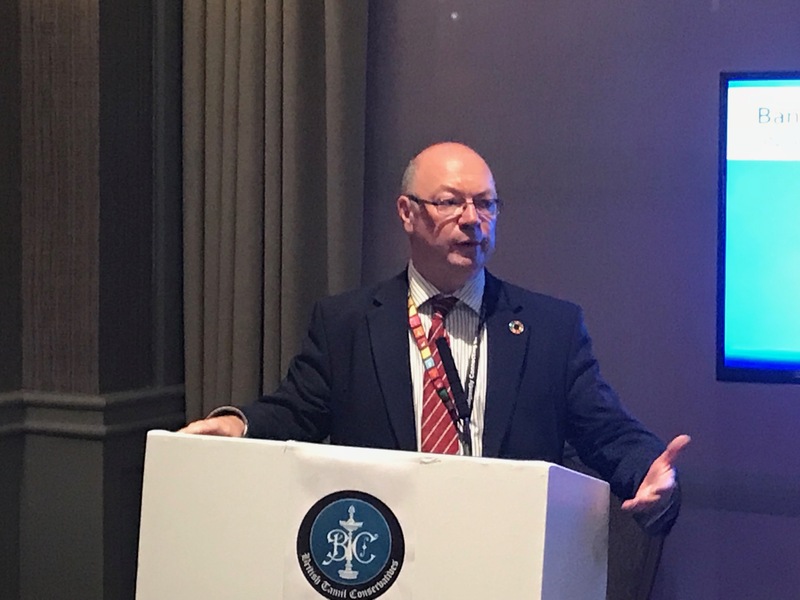 Rounding up a long list of high profile speakers, Paul Scully, Chair of the All Party Parliamentary Group for Tamils, Vice Chair for London Conservatives and Member of Parliament for Sutton declared “what is so important is to make sure Sri Lanka is held to adhere to Resolution30/1”. 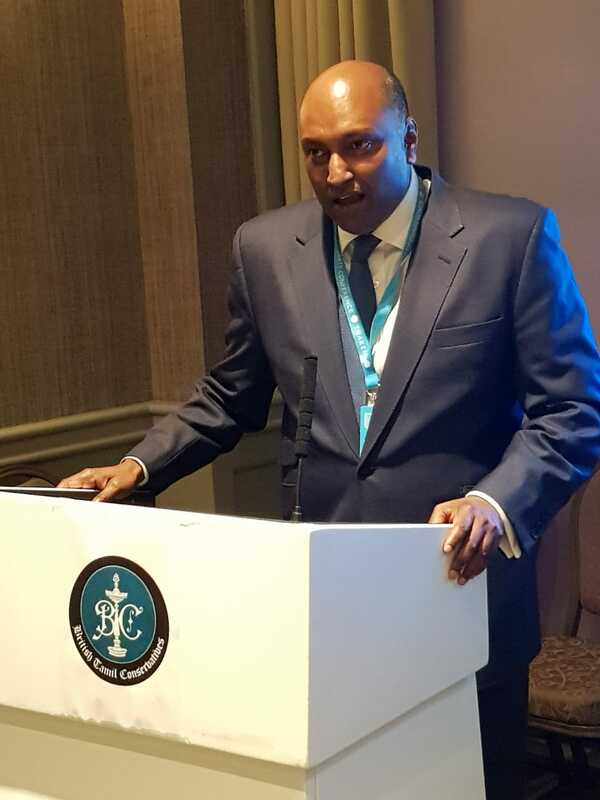 Chairman of British Tamil Conservatives Dr Aru Sivananthan brought the event to close with a vote of thanks.